While it is always crucial for an adventurer to protect their chest, they should never neglect their legs, just in case they run into an archer or an angry dwarf. Luckily, the Blackened Georg Tassets are here to keep your thighs covered! 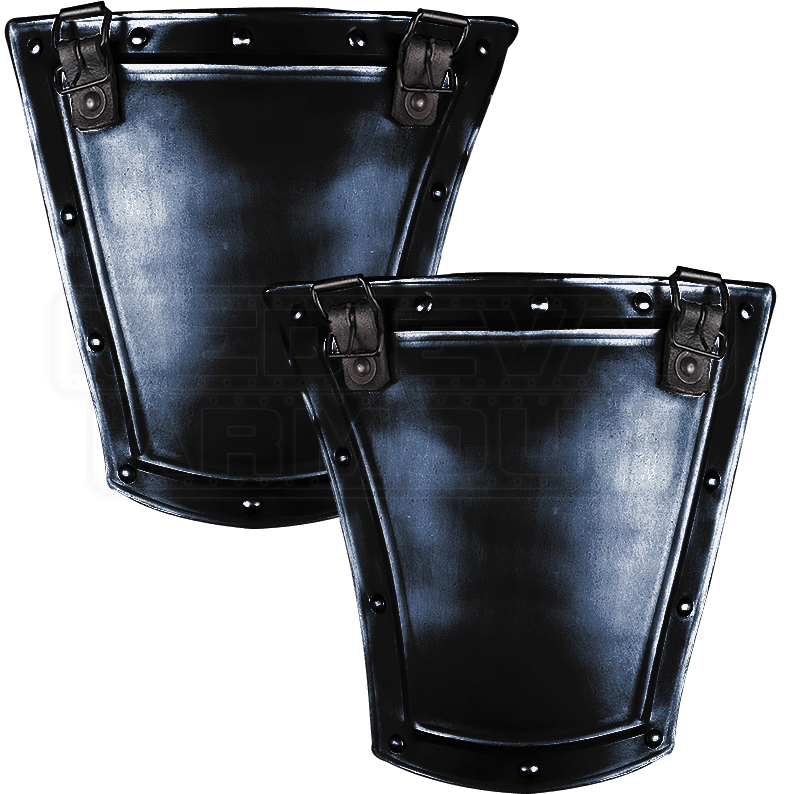 These handmade, 18-gauge steel tassets offer superb protection to the thighs without impeding maneuverability. Their borders feature ornamental riveting, giving them an authentic medieval look, and their tops are fitted with buckles for easy attachment to a cuirass or breastplate. Their look has only been enhanced by their black metal finish. 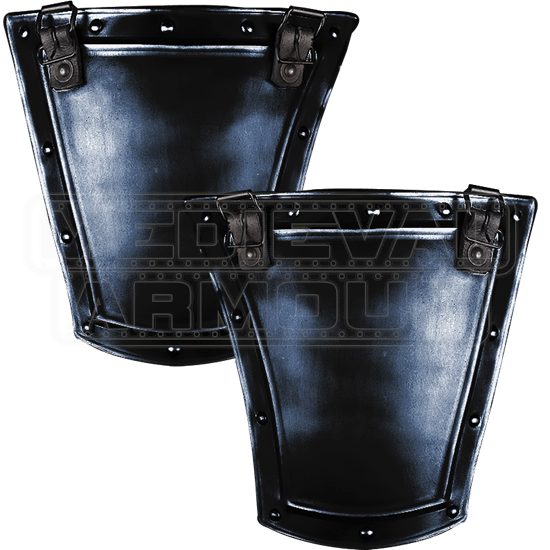 These tassets were originally designed for use with other pieces from the Georg armour set, but they can also be paired with any cuirass or breastplate that features the appropriate attachment points. The Blackened Georg Tassets make a fantastic addition to any suit of armour for LARPing and light reenactment.